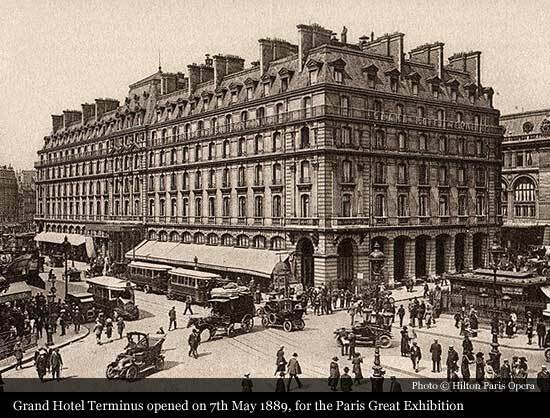 The Grand Hotel Terminus - as it was originally named, was commissioned at the end of the 19th Century as a new luxury hotel in Paris to accommodate wealthy foreign visitors to the Paris Great Exhibition of 1889. 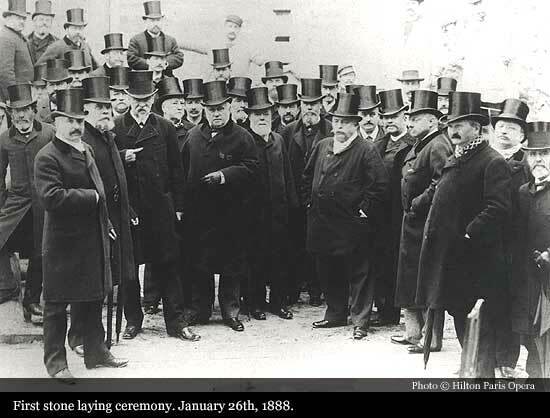 The first stone was laid on 26th of January 1888, and in record time of just 15 months and at a cost of 12 million francs, the Hotel was officially opened on 7th May 1889. Grand opening was announced by Gustave Eiffel from his tower, at the height of 300m. 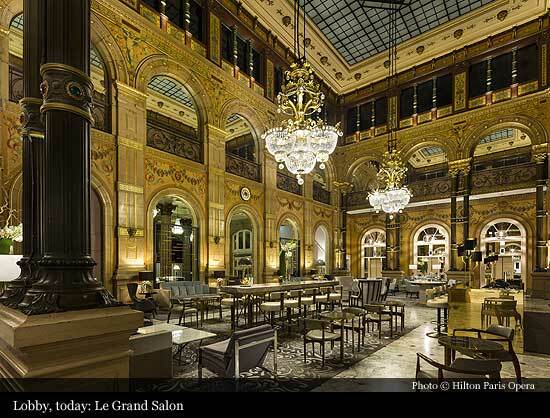 Hotel was envisioned by architect Juste Lisch, and because of its revolutionary design and direct link to the Gare Saint Lazare, it was named the Grand Hotel Terminus. 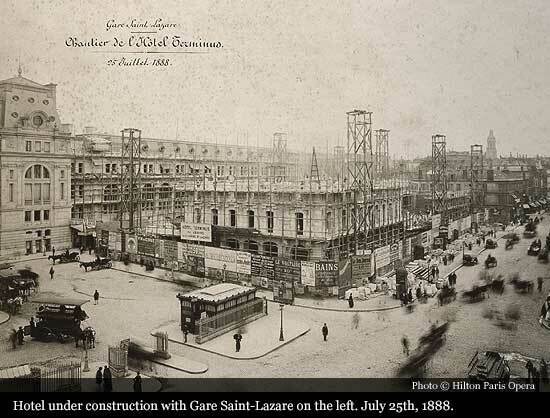 Architect Lisch was also in charge for the construction of the Gare Saint-Lazare, which opened just one month before the Hotel. 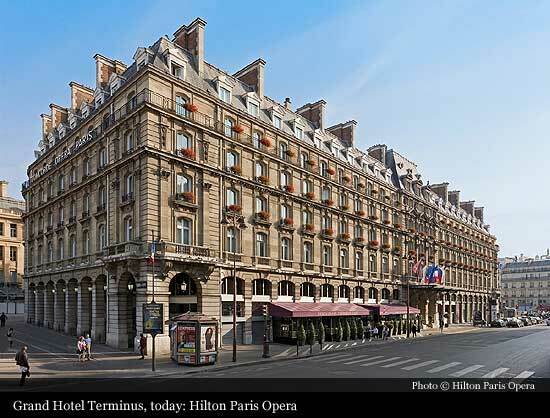 The arrival of the Grand Hotel Terminus, along with the recent development of railway lines and sea transportation put Paris on the doorstep of English, Russian and American tourists and businessmen. 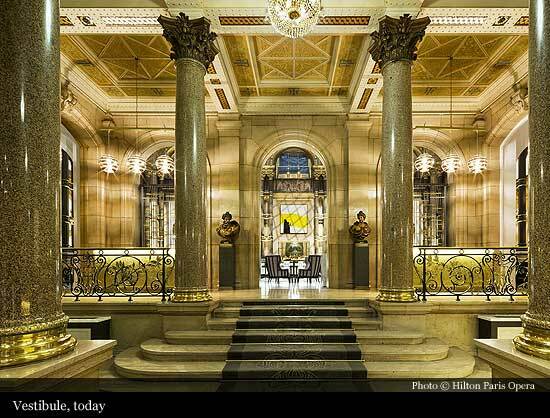 Since its opening the success of this palace of 500 bedrooms has been enormous. 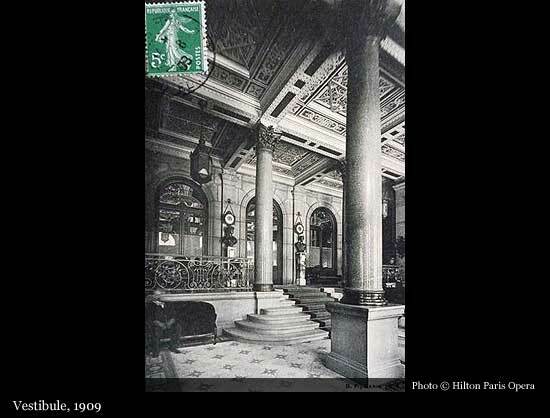 Even in 1889 a commentary featuring in the hotel brochure was able to praise the modern and luxurious inventions provided for the clients of ‘The Hotel Terminus’:. The ingenious design plan of the hotel evoked the feeling in clients that everything was at hand: telephones for local calls, cloakrooms, hairdressers, elegant lavatories for men and women, restaurants, travel-goods and fine-food shops of the highest quality. Clients had three restaurants at their disposal of which one was reserved for a buffet, one as a wine bar and one as an exceptional wine cellar. Indeed, the cellars of The Hotel Terminus were the pride of the establishment where one could find ‘Old Yquem’ and the ‘Bourgognes’ from the best years, satisfying even the most demanding of guests. In the middle of the 1930’s the Hotel Terminus was entirely renovated. This may seem bizarre, as it happened in spite of a crisis in the hotel business, which had hit the large luxury hotels of towns, fashionable seaside resorts and the large European capitals. 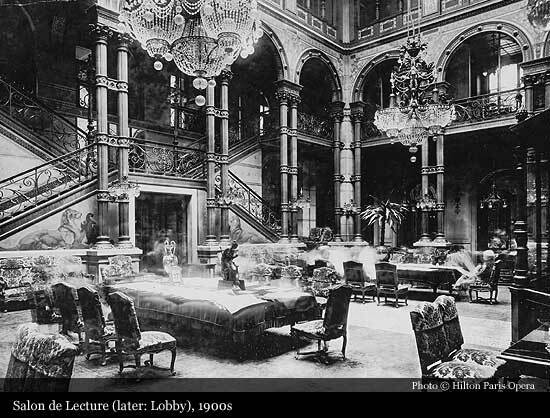 In 1930, it was equipped with a very fine French billiards-room, unique in Paris where there had never before been any tradition of this. In 1934, the architect Henri Pacon presided over the transformations, which made the hotel an avant-garde establishment once more. There followed the appearance of a jazz orchestra playing the Charleston and giving an air of perpetual party in the new salon of the Café Terminus. 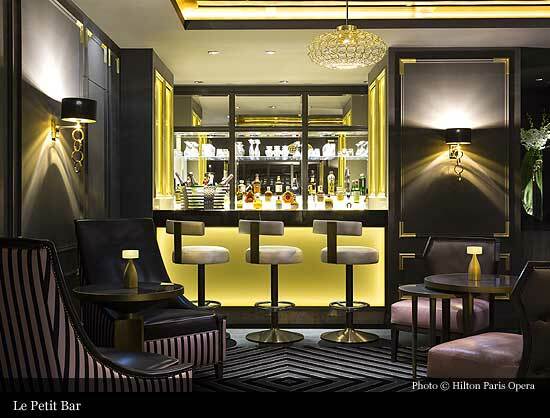 The Norman steak house, today the ‘Salon Champagne’ was the biggest success story of the hotel’s renovations. 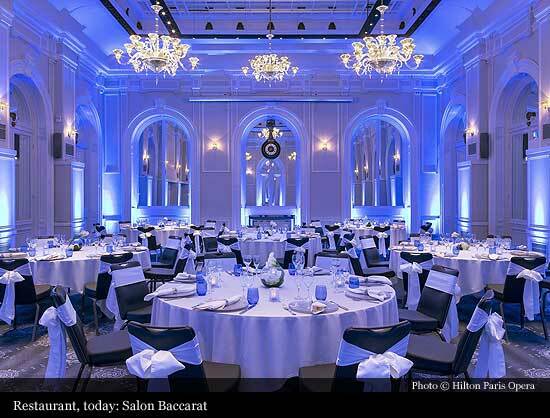 Entirely air-conditioned it assumed the shape of a Norman steamship and, complete with a central aisle and unique lighting, it created an unforgettable atmosphere. 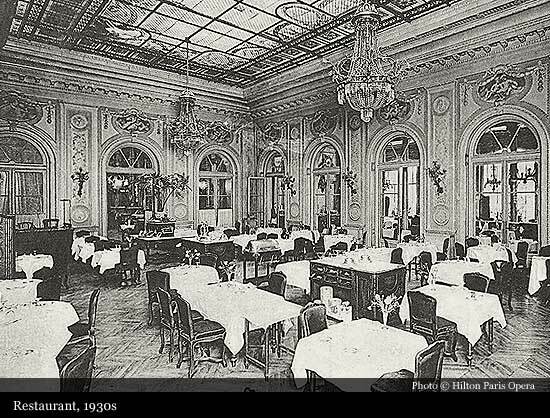 Cumosky, the forefather of today’s gastronomic columnists and the prince of taste at that time, attested in his articles that the beauty of the decor had no equal, except for the quality of the dishes. 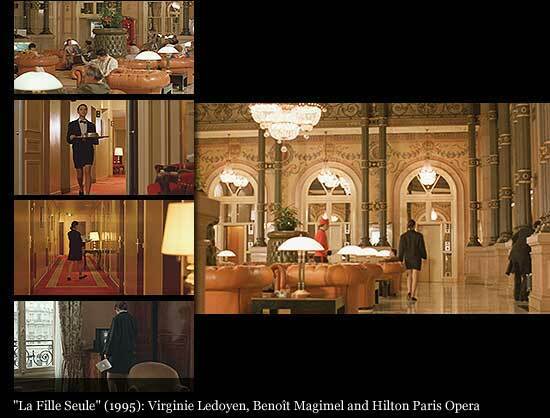 Yet, the service provided was yet another feature that couldn’t be paralleled so, without a doubt, it was not by chance that the services of Head Waiter of the Hotel Terminus were called upon for the great dinner of the Louvre Palace offered to Queen Elizabeth in 1957. The Second World War quickly brought an end to this luxurious euphoria. In November 1944, the hotel was requisitioned by the Americans to shelter thousands of refugees and allied soldiers. Under the name of ‘The Grand Club Central’, it served 628,917 meals in one year and accommodated 182,178 men. In spring 1946, the Grand Hotel Terminus opened its doors once again to civilian clients. In 1973, the Concorde Group of hotels was born, developing a tradition in the hotel business bound by its mother company – the Louvre Organisation, presided over by Jean Taittinger, and controlled by the prestigious ‘Maison Champagne Taittinger’. 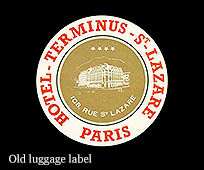 The Grand Hotel Terminus was renamed to the Hotel Concorde Saint-Lazare. 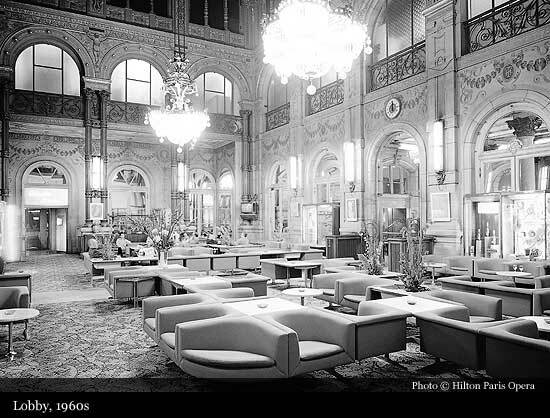 In 1989 the meticulous restoration of the foyer, which is classed as an historical monument, and the complete renovation of the bedrooms showed that under its new name the Hotel Concorde Saint-Lazare was to maintain a constant enthusiasm for quality, and place top priority on the comfort and happiness of its guests. 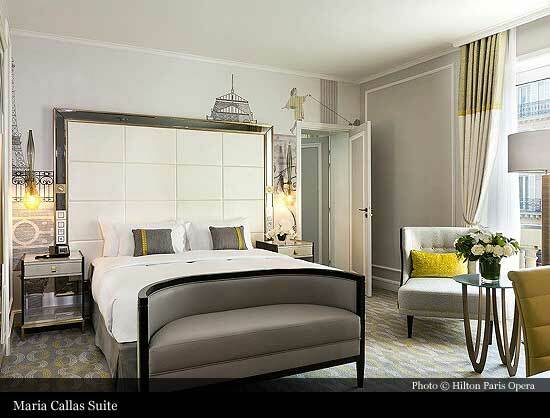 This concern continues to be evident and has resulted in a complete renovation of the bedrooms, a huge transformation in the hotel itself and a commitment to maintaining the standard of luxury for which the hotel is famous. 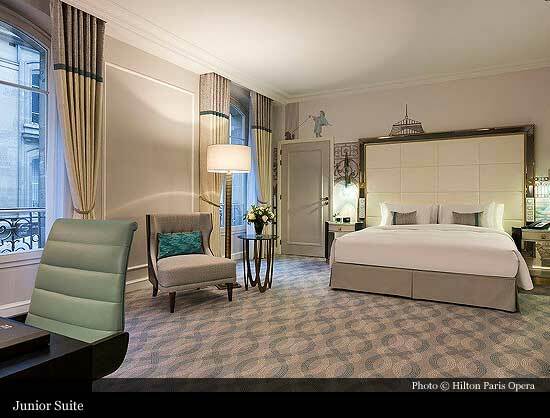 In December 2013, the hotel was bought by the Blackstone Group, owner of the Hilton hotels. 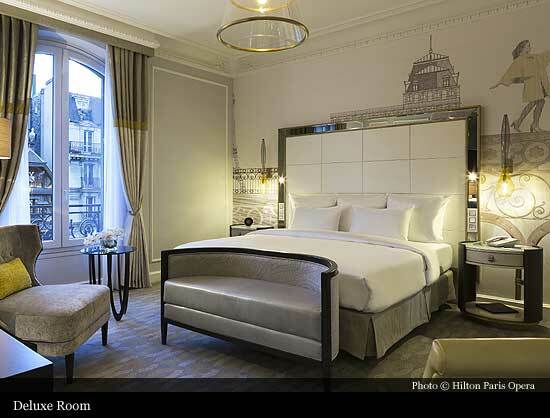 Renamed into Hilton Paris Opera, hotel opened in the early 2015.